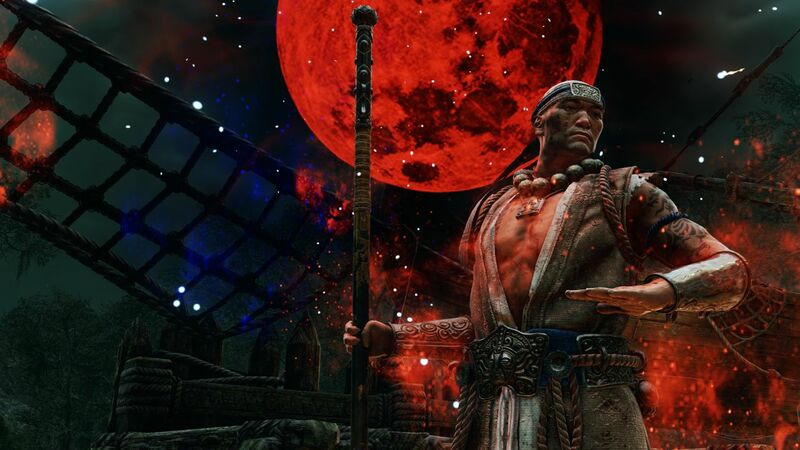 Return of the Otherworld, a special For Honor Halloween event, started today and runs through early-November. 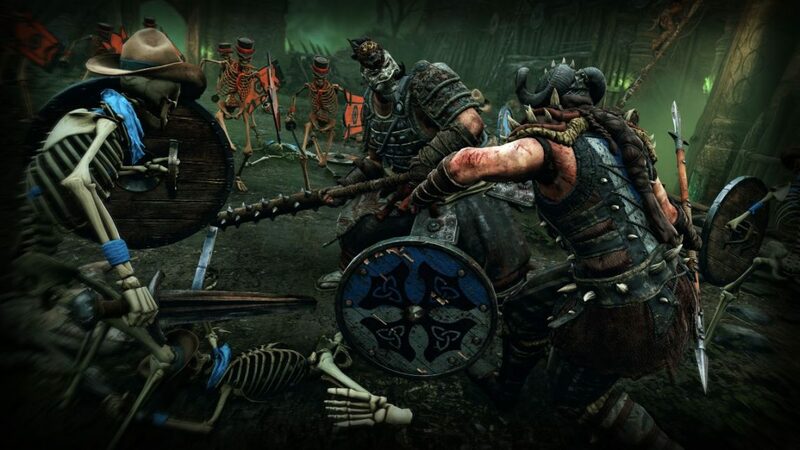 For Honor players can take part in a new event which sees the Endless March game mode return, and the premiere of Arcade Weekly Quests. Return of the Otherworld also includes community challenges, Halloween-themed loot, weapons and more. Here’s everything you need to know about the event, courtesy of Ubisoft. Skeletons have once again taken over the battlefield in Endless March, a haunting variation of the 4v4 Dominion mode. In Endless March, soldiers appear as skeletons and deal brutal damage. Conquering zones will only yield temporary points, while killing soldiers and enemy players will bestow players with permanent points. As with Dominion, players must reach 1,000 points and defeat all four enemy players to win the game. 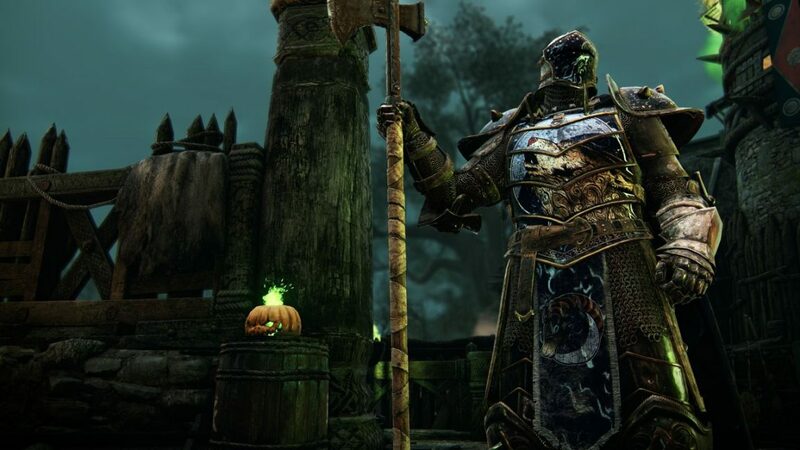 With the introduction of the quick-play PvE Arcade mode in the Marching Fire expansion, Return of the Otherworld will bring the brand-new and very first Arcade Weekly Quest, specifically handcrafted for this special Halloween event. Players will embark on the most fearsome of quests to fight skeletons and deadly Shamans for exclusive cosmetic rewards. Which faction will survive the Endless March? Throughout the duration of the event, there will be a rotation of four different faction-based community orders. With each challenge, players within the faction that reach the combined objective first will receive 1,000 Steel + 2 crates, while second place receives 500 Steel + 1 crate and third place receives 500 Steel. Players can check back in-game to stay current on the newest community orders. Return of the Otherworld also brings players new Halloween-themed rewards. 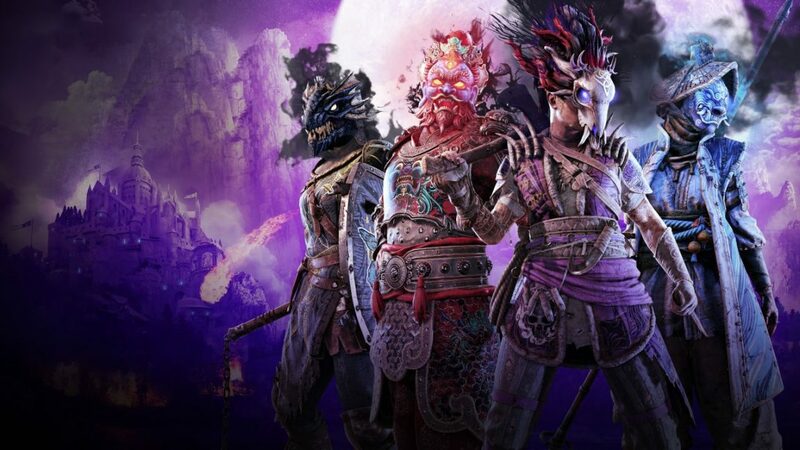 Players can customize each of their favorite Heroes, including the new Wu Lin Heroes, with all-new Mask Outfits, transforming players into ghoulish versions of themselves. The Mask Outfits will be available at a discounted price of 15,000 Steel per Hero during the first week of the event. 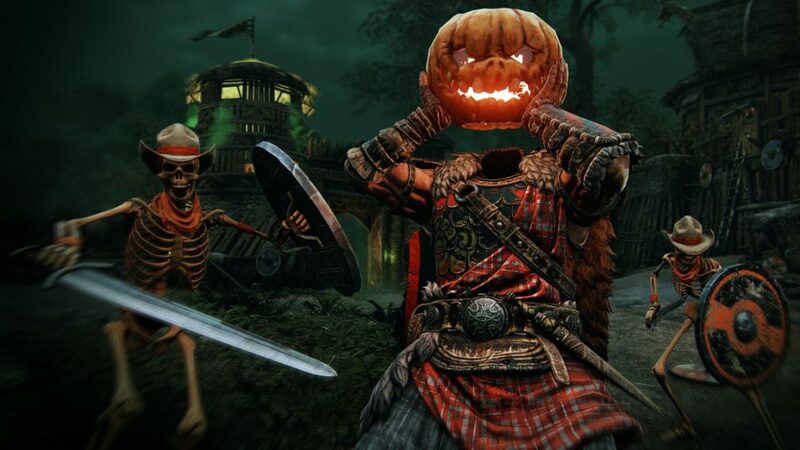 In addition, lootable Halloween-themed cosmetic items, weapons and a new Moonlight Sonata effect will be available exclusively during the event. These items will also be lootable in Arcade mode. PC, PlayStation 4, and Xbox One users can participate in the For Honor event through November 8.